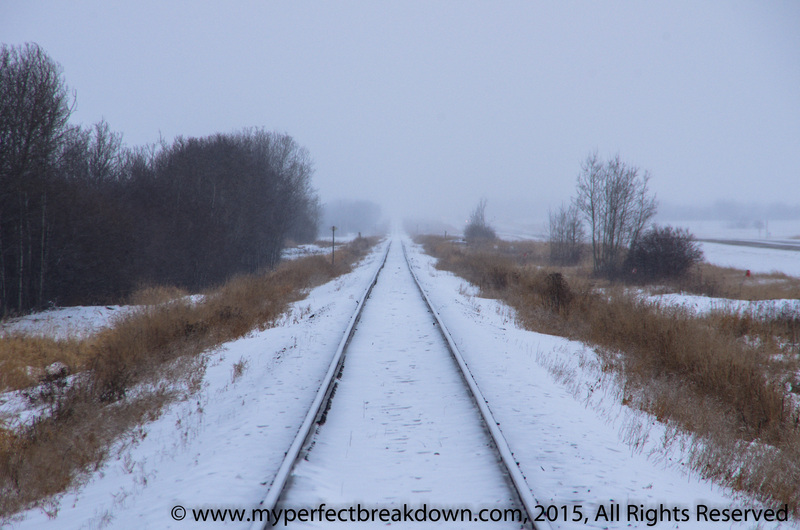 Day 188 – January 10, 2015: On our way to visit my grandmother in the hospital as she is recovering from surgery, I convinced Mr. MPB to stop and take a picture of train tracks on a wintery cold day. It was oddly peaceful on this gloomy day. 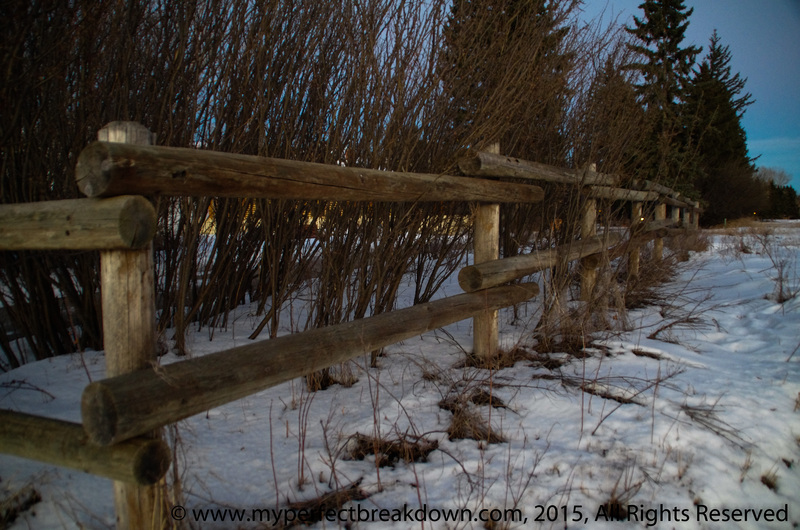 Day 189 – January 11, 2015: Today we went hunting for a Snowy Owl because I really want a photo of an owl. While we did not find a snowy owl on our trek, we did enjoy taking random photos on our drive. This one is my favourite. 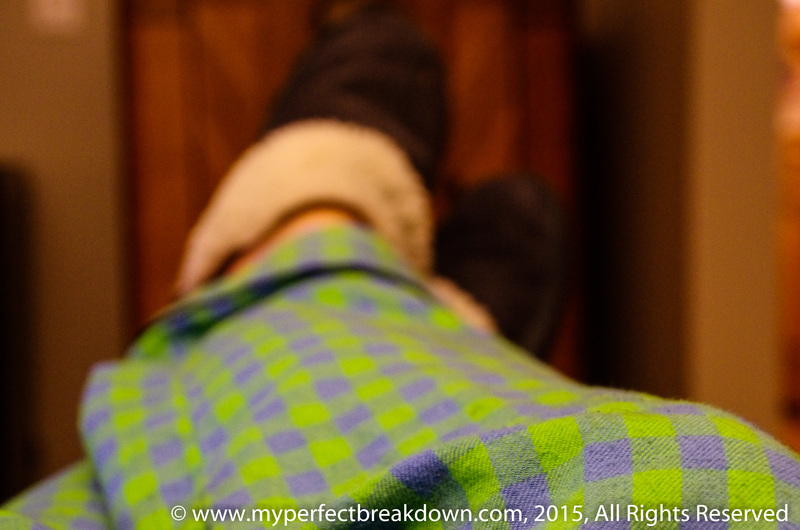 Day 190 – January 12, 2015: My happy moment today was snuggling into my incredibly comfortable pajama pants. While not incredibly fashionable, I love being comfortable. 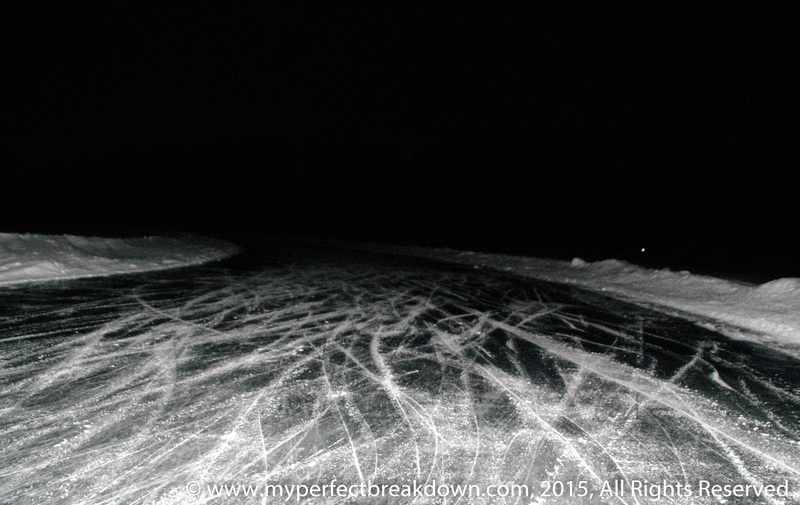 Day 191 – January 13, 2015: Mr. MPB and I went skating this evening. We ventured out onto the unlit lake and while slightly creepy at first, we had a blast! 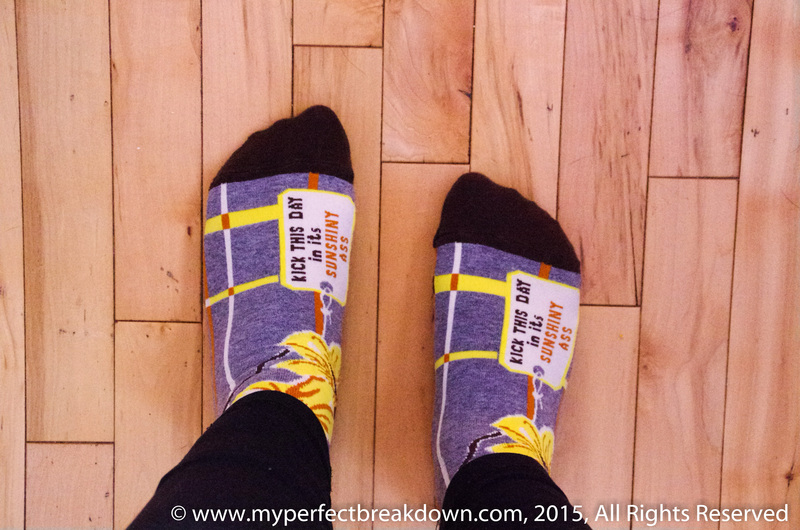 Day 192 – January 14, 2015: When I got dressed this morning, I grabbed socks without looking. When I noticed which pair I put on, I smiled and knew it was going to be a great day! Day 193 – January 15, 2015: Tonight, as we relaxed on the couch watching re-runs I played with my camera taking random photos of our living room. I was pretty happy when I took this photo, for no reason other than I like the way the photo turned out. 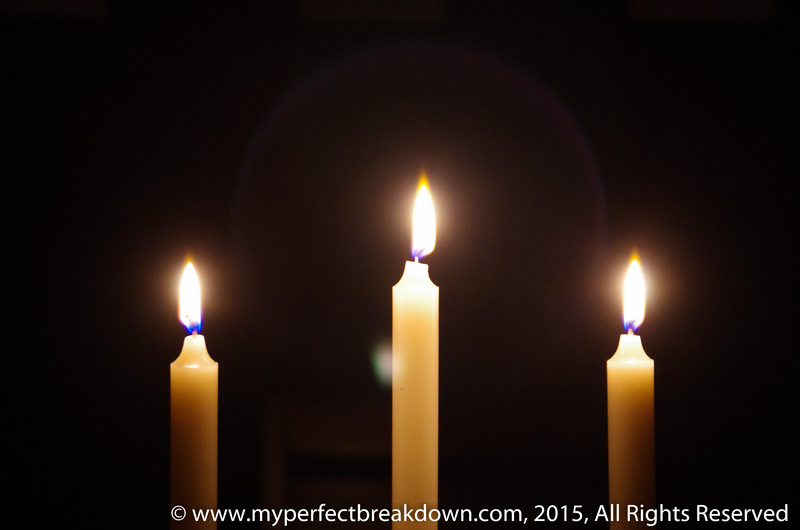 Day 194 – January 16, 2015: My happy moment today was an evening walk with Sadie, Mr. MPB and my camera. It was surprisingly cold and we did not dress for the weather so it was a pretty short walk, but it was fun nonetheless. 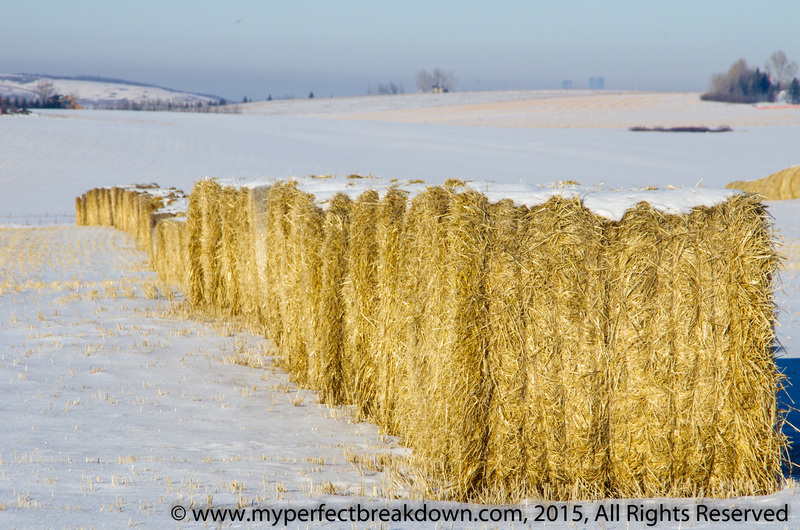 I love the bales of hay. We see them a lot where we live. The unlit ice skating is my favourite! How exciting, fun, and romantic. I need to find me one of those. And the socks! Life is too short to wear boring socks. Fun socks are a recent regular addition to my life – they used to be saved only for weekends, because fun socks never went with my work shoes and pants/skirts. And, yes nighttime skating was fun and romantic. But, also slightly creepy as the residual light from the city really emphasized the cracks. Love these pictures!!! Xo! You are so talented ! Thanks Elisha! I’m about to hit 200 days, and now Mr. MPB is telling me I should really try to get to 365 because I’m over halfway there. The photo of the lake is fantastic. Nice job. Thanks Elizabeth! Skating at night was a bit creepy as the residual light from the city emphasized all the cracks. But, once we got used to it, we had a blast! I really like those socks! Haha! Awesome socks! And I totally love that you guys went skating! I just absolutely love these posts. Every time I see these posts I get so excited to read them and see all your pictures! I’m so glad you continued with it! Awe, thanks! I love the socks too. Yes! You should totally keep going! I love these posts! I agree with the Mr! I love the pocture with the fence! Again, your home is so beautiful as are your photography skills! Thanks for putting a smile on my face. You are right, looking down at fun socks is a sure way to make me instantly more cheerful. I highly recommend making it a new thing for you too! Love! I can see how your photo style is developing. I would love to switch places with you and be in the snow now, especially because back home have been getting it (although not as cold as Canada). I’ve been cocooned in air con for the past few weeks. Not very inspirational at all! Love all of these! I’m not sure I’d be brave enough to skate on an unlit frozen lake…I think I would freak out lol!! It was pretty freaky, but once we got used to it we had so much fun skating with the lake to ourselves. cold, is the weather. Warm is your spirit! Love the pics! Especially those socks!